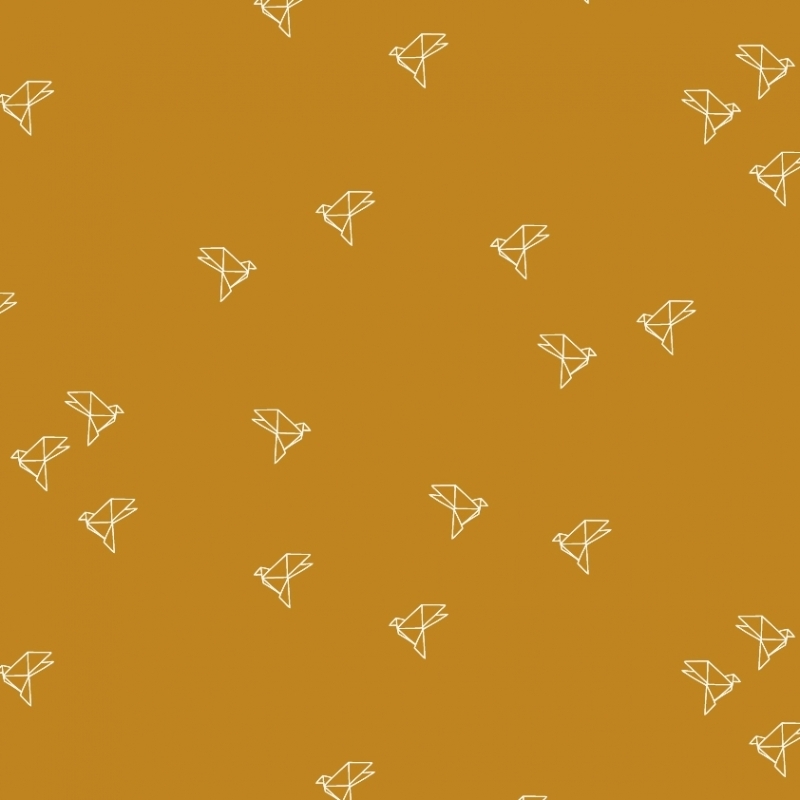 Bye Bye Birdie is a soft and light cotton cambric fabric from the Atelier Brunette “Overnight Collection”. 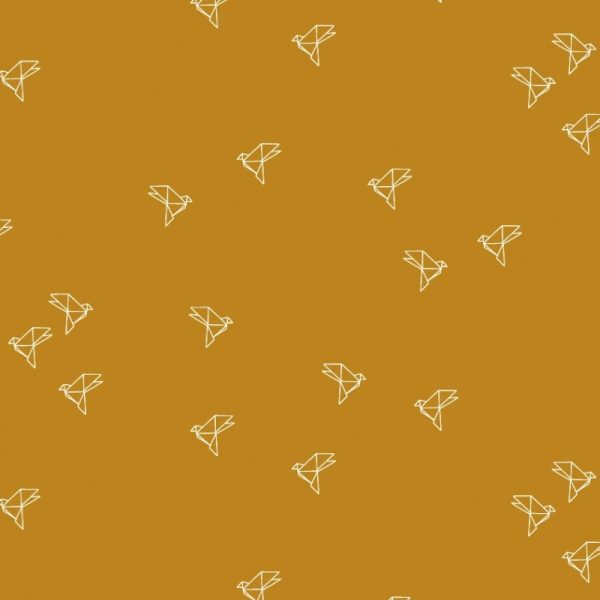 This gorgeous mustard yellow fabric with printed white origami birds is soft, silky and easy to wear throughout the year. 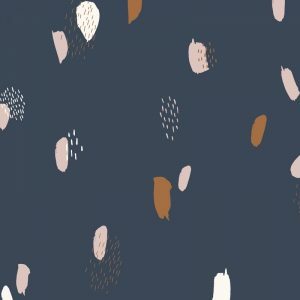 The Bye Bye Birdie fabric has a density of 85g/m2 -140 cm width which makes it ideal for sewing stylish dresses and shirts. Machine wash at 30-40°C. Medium Spin. Do not tumble dry. 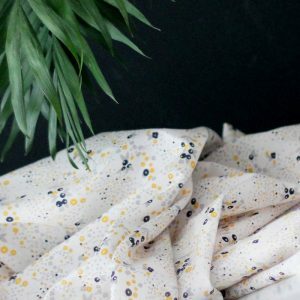 When Annabelle and Rajeev founded Atelier Brunette in 2013, they were on a mission to create an exclusive fabric apparel brand with a zest for design, quality and one of a kind motifs. 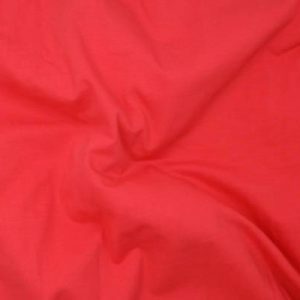 The base of fabric production naturally takes place in India, known for its textile industry and high-quality materials. Rajeev originally from India, is responsible for the fabric production and Annabelle oversees the design and reputation of the brand in France and throughout the world. Atelier Brunette has the know-how to combine style and quality. In just a few years, the brand has developed over sixty original fabrics with distinctive prints and a fashion forward color palette. Annabelle and Rajeev have been able to differentiate themselves through developing a loyal community of passionate seamstresses, by providing them with beautiful materials to give life to their creations. Atelier Brunette also offers a new look at textiles. From the beginning, the brand experiments with innovative methods and designs, resulting in exclusive fabrics with never seen patterns, colors and materials. The vision is to create timeless fabrics that allow customers to create unique one of a kind garments. 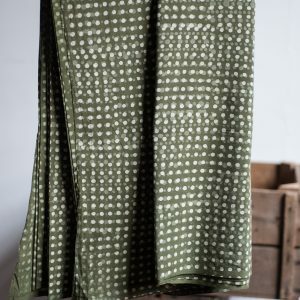 Through the purchase of Atelier Brunette fabrics and the creation of fashion, this approach is consistent with the slow fashion movement: “Consume less and consume better”. Atelier Brunette is committed to working with professionals in the textile sector. By working directly with local Indian factories without any intermediaries, Atelier Brunette has put in place, conditions and rules that respect the entire team. This process allows Annabelle and Rajeev to be in constant communication and regularly check the working conditions of all employees as well as the way the fabrics are manufactured. Atelier Brunette is also committed to the fact that their factories have all the necessary certifications to work with the European market (ISO 9001 and Ecocert). To develop our approach to quality, Atelier Brunette wants to go further. Atelier Brunette is also committed to developing healthy business relationships and collaborations with India, to become even more involved in an ethical and sustainable development process.